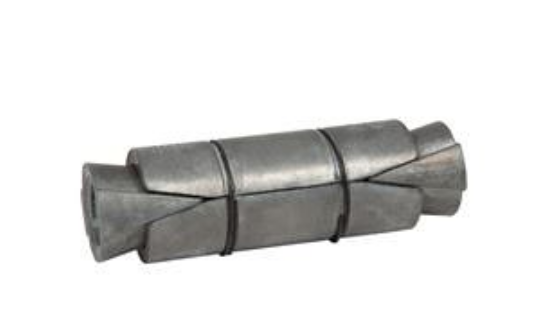 When fastening objects to concrete, the following list of some “How-to” and “Why” for using expansion concrete fasteners may clarify the general guidelines for this type of application. Professionals also are aware that consulting a manufacturer’s specific set of directions may also be required for optimal results. How to measure spacing: Concrete fasteners should not be set closer than 10-anchor diameters from each other. Why: Mechanical type concrete anchors exert outward pressure against the wall of the hole in concrete. This pressure goes out and up the length of the anchor and is called a cone of concrete since appears cone-shaped. The cone-shaped area is a picture of the holding values of the anchor. Placing anchors closer than 10 anchor diameters apart will allow the two anchors' holding values to overlap and decrease the holding values of both anchors. How to measure spacing: Mechanical type anchors should not be set a minimum of 5 anchor diameters from an unsupported edge. Why: If set too close to an unsupported edge, the outward pressure of the concrete anchor will decrease the holding value of the anchor or possibly make it non-existent (a “blowout”). How to drill hole: When drilling a hole into concrete, brick or block base material, the hole must be drilled 1/2" deeper than the concrete anchor will penetrate. Why: The extra depth of the hole will ensure that the anchor does not bottom out and will allow space for dust from the drilling process. If the anchor is being placed at minimum embedment requirements, the extra space will make sure that the minimum amounts are met. How to drill hole: When drilling holes for anchors to be used in concrete, brick or block, a hammer drill should be used. How to achieve holding value: Each anchor has a minimum embedment in order to create the holding values for the anchor. 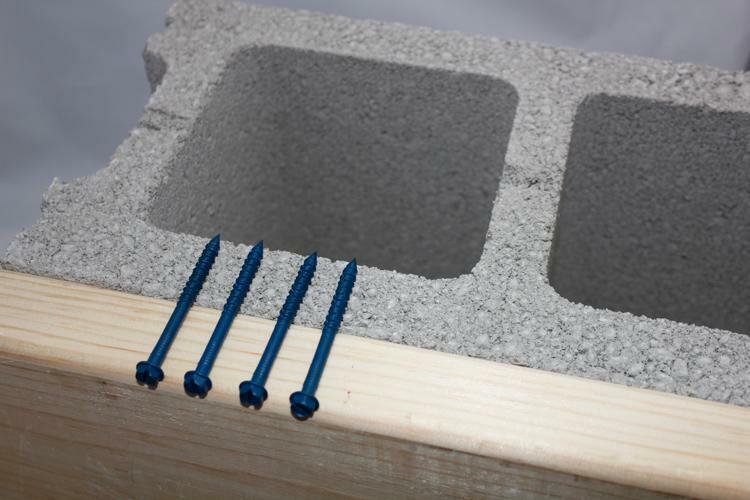 How to achieve holding value: Tapcon concrete screws have a minimum embedment of 1 in. for both the 3/16 and 1/4-in. diameter, and a maximum embedment of 1-3/4 in. Why: Tapcons cut threads into the base material. The lead thread does the cutting and will become ineffective after reaching 1-3/4 in. embedment.